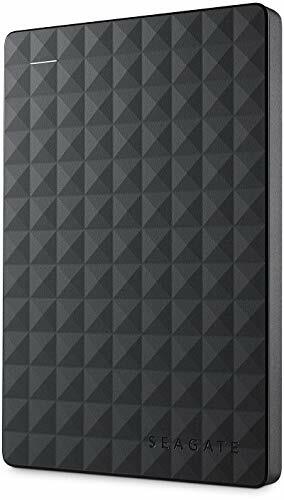 The Seagate Expansion portable drive provides extra storage for your ever-growing collection of files. Instantly add space for more files, consolidate all of your files to a single location, or free up space on your computer's internal drive to help improve performance. Setup is straightforward; simply plug in the included USB cable, and you are ready to go. The drive is automatically recognized by the Windows operating system, so there is no software to install or configure. Saving files is easy too–just drag-and-drop. Take advantage of the fast data transfer speeds with the USB 3.0 interface by connecting to a SuperSpeed USB 3.0 port. USB 3.0 is backwards compatible with USB 2.0 for additional system compatibility. System Requirements: Windows 7 or higher, SuperSpeed USB 3.0 port (required for USB 3.0 transfer speeds or backwards compatible with USB 2.0 ports at USB 2.0 transfer speeds, compatibility may vary depending on the user's hardware configuration and operating system). Box Contents: Seagate Expansion Drive, 18-inch USB 3.0 Cable, and Quick Start Guide. Drag and drop file saving for Windows, right out of the box. Please note: Product needs to be reformatted if it is to be used with Mac. Reformatting the drive will erase all content unless it is backed up to another drive.